Wow – what an amazing weekend I have just had! Several months ago, I watched ‘Drowning in Plastic’ on TV, and midway through watching this very powerful documentary, I signed up to become a member of the Marine Conservation Society, as I was so deeply affected by the footage that was shown of all that is going on in our oceans and how it is impacting upon our wildlife – not least the poor baby birds who are being fed plastic and dying. I wanted to head overseas and do my bit to help, however, all I could find were lab-based volunteer roles, and I’m more of a practical type of person who needs to be actively and physically ‘doing’ stuff. 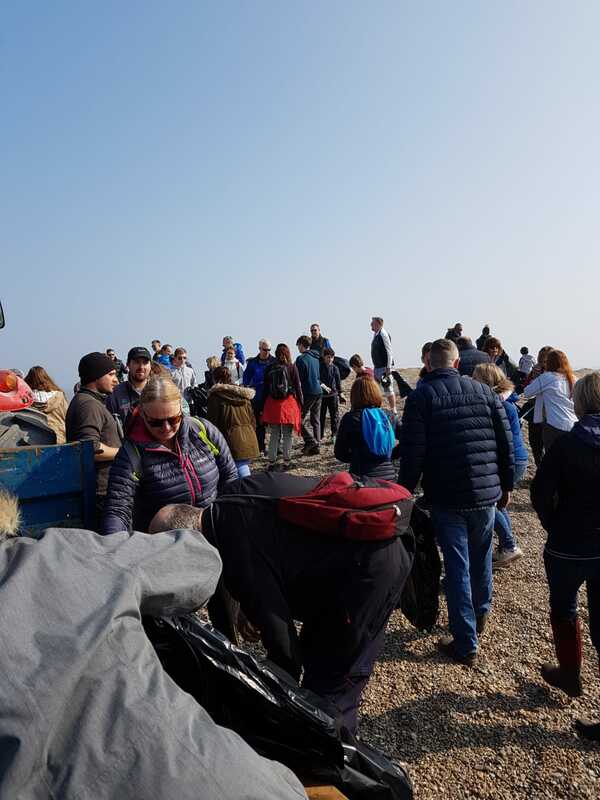 Then I discovered the beach clean-ups that take place around the UK, and duly signed up to help clean up Cley next the Sea beach on Saturday 30th March 2019. 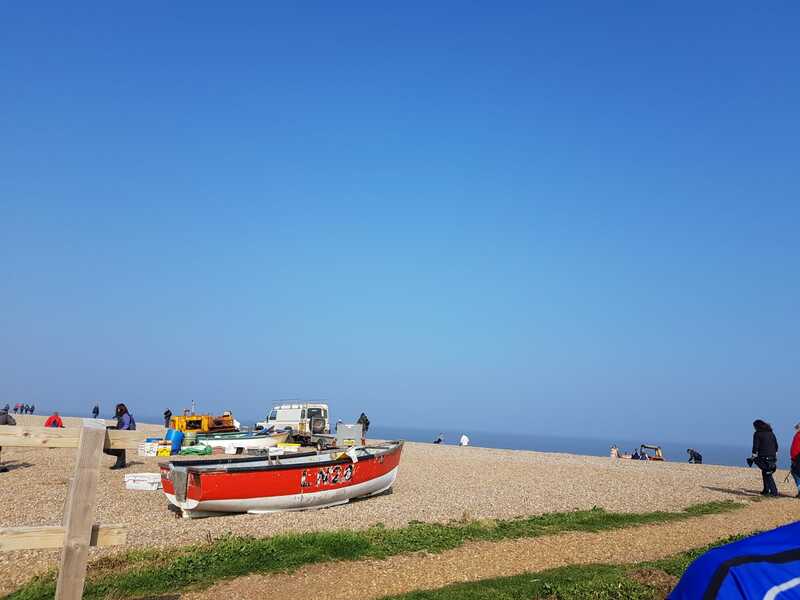 Well, that was last autumn as I recall, and the date for the clean-up arrived in a flash, and now I’ve been and done it – and had an amazing weekend in Norfolk to boot! I turned up just before 10am on Saturday morning, along with 167 other volunteers – incredible. People had booked via the MCS and the National Trust, and others had just turned up as they knew that the clean-up was happening. The National Trust representatives for the Norfolk area were there, with litter pickers and black bin bags, they gave us the health and safety talk and then we could do our own thing for the next 2 to 3 hours. I took the opportunity to be driven by a tractor in a trailer 5 miles along the beach with around 12 others, to Blakeney Point. We duly walked back, litter picking as we went along. It’s quite incredible, and clearly disturbing, what you suddenly start to see and pick up as you’re walking. My 2-bag ‘haul’ consisted of twine, plastic, wet wipes, rope, blue plastic surgical gloves, wood with nails sticking out of it, tin cans, foam oddments, bits of hair bobbles, a small ball, a broken lighter, a piece of root entangled with a fishing line complete with weight and hook … amongst other oddments. And that was just me. So much for a clean beach. Apparently, the section we were walking along needed cleaning in advance of the birds nesting over the course of the next few months – hopefully they’ve now got a cleaner, safer and more bird-friendly beach on which to do so. At the start / finish, there was a huge mound of bags, along with big plastic water containers that had clearly been thrown overboard from boats at sea. So much waste. Having spent 3 hours scouring the beach for rubbish my eyes were so focused all I could see, and now continue to see, is rubbish on the street. I will be ordering a litter picker and associated gear to do my bit when walking to work and back in the future. It has to be done – we’re living in a mound of rubbish that isn’t good for anyone! And on another note – the rest of the weekend was glorious, and I also spent a large amount of time walking around the RSPB nature reserve at Titchwell, enjoying the tranquillity and peace of being away from the madding crowds! All in all, a good job well done and an amazing weekend spent in a wonderful part of the world!